Super Plush Riding, Reynolds High Grade Steel Frame and Lugged Fork. Get Incredible ride quality, Fast Aero Wheels, wide tires for comfort and performance. Painted. Super Plush, Reynolds High Grade Steel Bikes +Lugged Fork. Get Incredible ride quality, Fast Aero Wheels, wide tires for comfort and performance. Painted Edition. 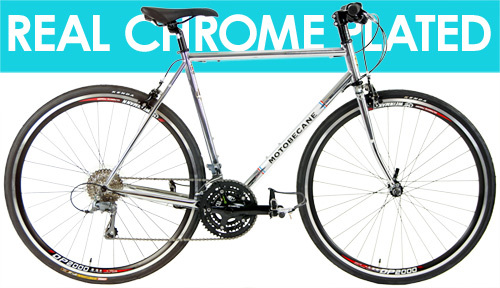 Chrome Plated Reynolds High Grade Steel Frame and Lugged Fork. Authentic CHROME Plated like On Custom Cars Not Paint. Normally $200 UpCharge. The Deal: bikes are available Now. Warning: At the special Price, sizes always sell out fast and prices may increase without notice. Lock in your deal and grab one now. NOTE: Cranks are Black OR Gray. No Choice. Perfect for the entry to sport level athlete wanting the amazing comfort of a high grade steel frame, coupled with the precision and comfort of a CrMo fork and dealing with a budget. This model has triple cranks for even more hill-crushing performance. 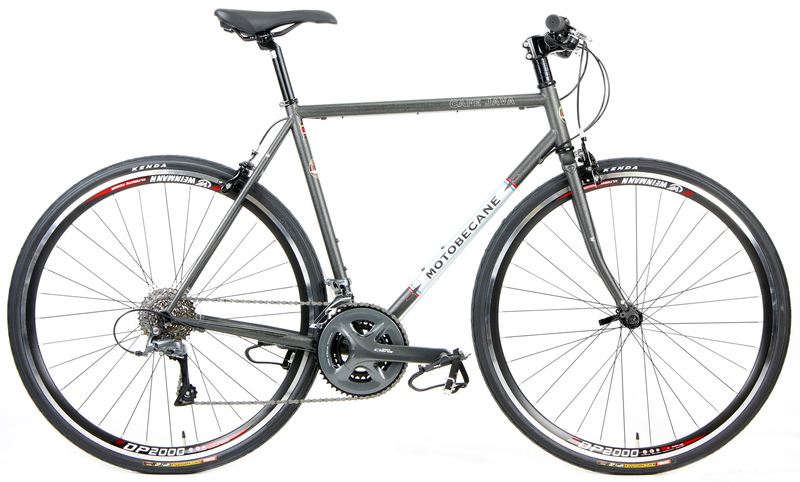 Compare to Specialized Roll, Trek FX, Surly Straggler, Surly Pacer and Surly Cross Check type bikes at up to $1600 (including local taxes). The Cafe Java series bikes Feature new high performance, super comfortable and highly durable Endurance Design Reynolds High Grade Steel frames. Reynolds High Grade steel = super plush ride. The Endurance design means higher headtubes for a bit more upright and comfortable riding positions. 49 cm fits most 5'3" up to 5'5"
53 cm fits most 5'6" up to 5' 8"
56 cm fits most 5'9" up to 5' 11"
59 cm fits most 6'0" up to 6'2"
62 cm fits most 6'3" up to 6' 5"
This is a general guide, please consult the geometry chart. If you are between sizes, keep in mind the smaller one will have lower handlebars and more agile handling. The larger one will have higher handlebars but less straddle room. Your personal preferences will determine your size. The final choice is up to you.